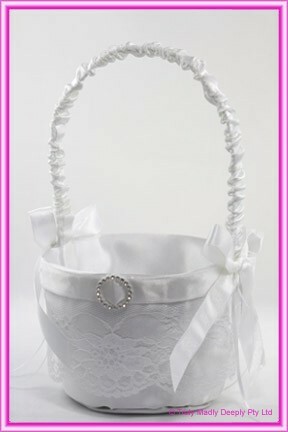 This cute flower basket is fully covered in white satin and a rim of white floral lace. The front of the basket has a white diamante buckle and is finished with a couple of satin bows on the bases of the handles. We also carry silk rose petals for your flower girl to sprinkle down the aisle. See below for details.